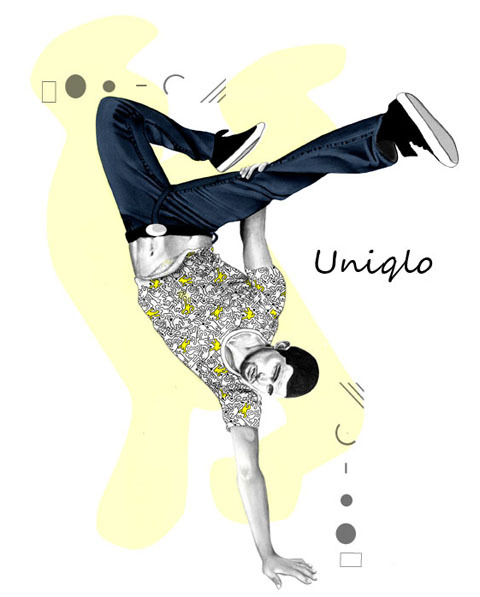 Uniqlo UT Keith Haring and Jean-Michel Basquiat T-shirts fashion illustration competition: Winner Revealed! Uniqlo by Rebecca Higgins of Rebecca May Illustration. Multi-instrumentalists Gemma, Louise and Sophie met at university before forming Haiku Salut, making music out of the Derbyshire Dales. I used twitter's new Vine app to capture the impressive presentation by Chinese designer Huishan Zhang at the Portico Rooms on Monday 18th February 2013. Nova Chiu stepped back to their origins for a show full of meticulous embroidery and embellishments topped with acidic hints of neon, showing at the Freemasons' Hall on Friday 15th February 2013. Retail entrepreneur Sarah Walter has gone from fashion editorial to internet guru. Here she shares the story of her success. The versatile singer/performer/DJ performed her new album Albion Voice at the BFI Southbank on Friday 16th November 2012. London based designer Kate Sibley, of design studio Sibley Grove, talks us through her new bold and sustainable jewellery collection created with beautifully folded stone paper. Fast rising four-piece play the first of two nights at Islington’s Electrowerkz on Wednesday 10th October 2012. A quick peek at some of the more outrageous trends in sunglasses for S/S 2013, including designs by Tatty Devine for Louise Gray and Leutton Postle. Ekaterina Kukhareva presented her Brigitte Bardot inspired Goddess in St. Tropez collection on Sunday 16th September at Freemasons' Hall. Design duo Nova Chiu and Jeff Archer showcased their Bon Voyage collection on Tuesday 18th September at Freemasons' Hall with Fashion Scout.